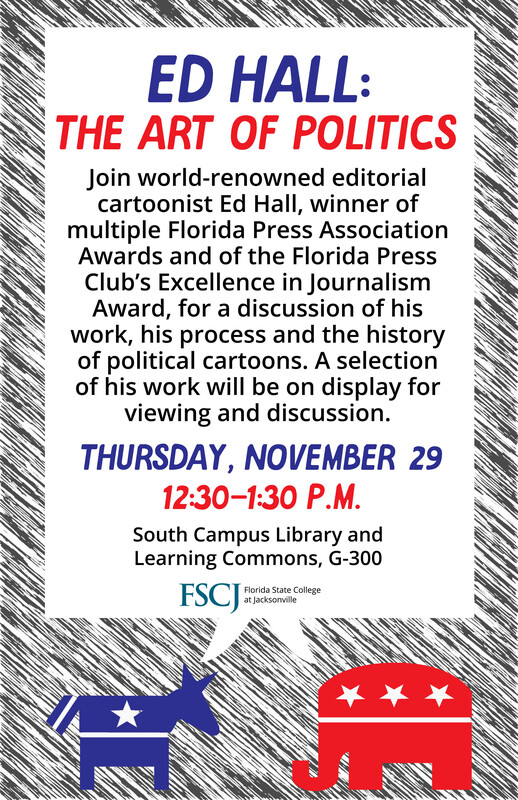 Join world-renowned editorial cartoonist Ed Hall, winner of multiple Florida Press Association Awards and of the Florida Press Club's Excellence in Journalism Award, for a discussion of his work, his process, and the history of political cartoons. A selection of Hall's work will be on display for viewing and discussion. This event will take place in the South Campus Library and Learning Commons, G-300, from 12:30 - 1:30 P.M. on Thursday, November 29.